Samsung has to be one of the most powerful smartphone manufacturers in the world, they consistently develop impressive flagship handsets that never fail to excite their global following of loyal fans. The Samsung S8 handsets were released last year to rave reviews, so when the brand announced that they were following up with two new S9 models, the pressure really was on. 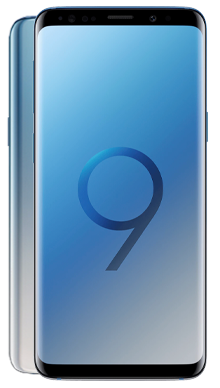 Thankfully the S9 is equally as impressive; it combines stunning design with innovative and powerful internal technology to deliver a smartphone experience that will, and has, impressed many smartphone enthusiasts and experts. The Samsung Galaxy S9 follows in the footsteps of the S8, and while it looks remarkably like its predecessor (some may say identical), that's no bad thing. 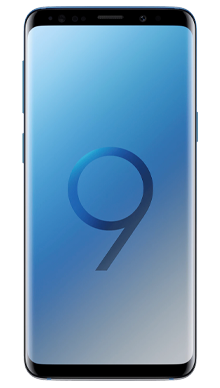 The S8 was hailed as one of the most beautiful smartphones ever released, and the newer S9 keeps its sleek design, with its rounded edges, infinity screen and glossy finish that all combine for a distinctly premium feel. One major change is that the fingerprint scanner, which was previously positioned next to the camera lens on the rear of the handset, now sits below it, making the phone much easier to use when it comes to ergonomics. Another factor that adds to the comfortability of using this handset is its 5.8-inch size; it is significantly smaller than the S9 Plus, making it easy to use with just one hand. 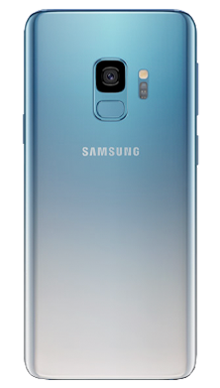 Like the larger phone, the S9 comes in either Midnight Black, Coral Blue or Lilac Purple. While the lilac is sure to turn heads, each and every phone is stylish and sophisticated. The Samsung Galaxy S9 is as durable as it is attractive. Constructed from an aluminium frame which surrounds Gorilla Glass 5, the S9 is extremely durable. With that being said we’d always recommend investing in a screen protector and a good quality case to save you from any heartbreak following an unfortunate drop. Despite the fact that the S9 is significantly slimmer than other smartphones, you still get much more screen area, thanks to the taller size. The s8 had one of the best screen qualities that smartphone experts had seen, so it’s no surprise that the s9 follow suit. The super AMOLED display features Quad HD+ technology, meaning that it is compatible with all of your favourite video apps, such as Netflix, Amazon Video and Now TV. The display on the Samsung Galaxy S9 delivers a viewing experience with rich, vivid colours, balanced contrast and incredibly defined features. However it the super HD display isn’t to your liking then there is the convenient ability to change them in the settings app. You can tweak different aspects of the display until it suits your preferences perfectly. Samsung has always received high praise for the audio quality on their phones, and the S9 is no exception. It provides a great audio experience with rich and dynamic features that are only further enhanced by impressive Dolby Atmos technology. One big advantage that the S9 has over its competitors is that it supports hi-resolution music files, so you can listen to all of your favourite tunes in the best quality. Another factor that differentiates the S9 from many recent high-end releases, it that it retains the headphone jack, which will surely satisfy many traditionalist smartphone users. It means that you don’t need to worry about investing in a pair of wireless Bluetooth headphones in order to use the S9. The Samsung Galaxy S9 and S9+ campaign largely focused on ‘The Camera. Reimagined’ so it's not surprising that the camera takes centre stage on the S9. 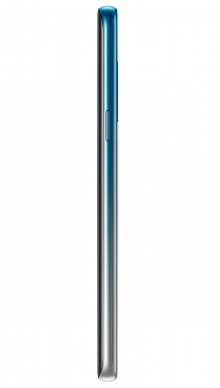 The S9 features a 12MP rear camera which will sound familiar if you’ve previously used the s8. While the two handsets have the same camera setup on paper, there is one major difference: the Galaxy S9 features a dual aperture lens that moves and adapts like the human eye to produce impressive photos in any lighting conditions. Even in low light, the S9 performs extremely well, and the camera will appeal to any budding smartphone photographer looking to take their skills to the next level. There’s an 8MP camera around the front of the Galaxy S9, which deliver equally impressive shots that will always have you looking your best thanks to a variety of different modes and effects. The S9 comes with full 4K video capability and is further enhanced with Super Slo-Mo features that produce ultra defined slow motion shots. There’s the option to add a little fun to your videos by adding music and even turning them into witty GIFs. The fun doesn’t stop with the camera. With the Samsung Galaxy S9, you can get creative and turn yourself into an animated 3D emoji which you can then insert into messaging apps to entertain your friends and family. We wouldn’t say that its a smartphone necessity, but it is a fun little extra feature. Any Samsung fans out there will be glad to know that the S9 comes with Samsung’s very own AI personal assistant in the form of Bixby and that it performs significantly better than when it was first launched. In order to sustain such a powerful smartphone experience, the Samsung Galaxy S9 needs a powerful internal processor, which is why Samsung has implemented an impressive Exynos 9810 processor to keep it running smoothly. There’s plenty of space for all of your favourite apps, photos and all important files on the Galaxy S9; the handset has 4GB of RAM and 64GB of internal memory. The battery life of the S9 is decent, and if you do run low on power you’ll be extremely grateful for wireless charging and Quick Charge 2.0, which gives a super fast boost when needed. The Samsung S9 is a truly fantastic handset that suitably follows the impressive performance that they s8 laid out before it. It maintains the beautiful design that we've come to know and love from Samsung; its sleek, sophisticated and exceptionally premium, with enough colour options to suit any individual’s style. The screen quality is brilliant, with enough HD technology to deliver a fantastic viewing experience which is further enhanced by an equally impressive audio experience that even has support for hi-resolution files. The camera is the shining star of the S9, which is to be expected. Even though it doesn’t come with the dual camera on the rear that the S9 Plus has, it still delivers exceptionally high-quality photographs in any lighting. A phone this powerful requires an equally powerful processor, and thankfully the Samsung Galaxy S9 comes with the Exynos 9810 to keep it running and deliver an incredibly smooth smartphone experience with zero delay. The battery is also powerful, it will easily see you through the day and when you do need to power up, you can conveniently use Quick Charge or wireless charging to quickly boost up. Metrofone is always on the hunt for the very latest smartphone deals to ensure that our customers always get the best price. We’re proud to bring some of the very best Samsung Galaxy S9 deals with some great added extras. Here at Metrofone, we partner exclusively with EE because they are the UK’s leading mobile network, meaning that we can always be sure that our customers received the very best service and connection no matter where they are. When you choose an EE pay monthly contract with Metrofone, you get some great added extras such as free BT Sport for three months, free roaming and even the odd cashback offer to save you even more money! Not only that, but you can get free next day delivery, so you could have your brand new Samsung Galaxy S9 the very next day. 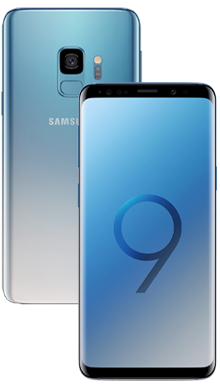 If you’re looking for a fantastic Samsung Galaxy S9 deal, or if you’d just like to get some more information on the Samsung Galaxy S9, why not contact us on 0333 900 1144 and our UK based customer service team will be on hand to guide you to the perfect deal for you.